If there are specific baking topics or recipes you’d like me to to cover in a future post please email me your suggestions. 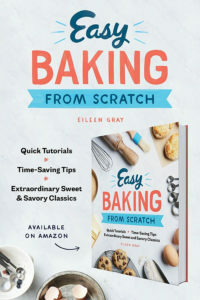 You can contact me at eileen.bakingsense@gmail.com. I’d love to hear from you. Want to work together? Great! I’m available for Recipe development, honest product reviews and placement, sponsored recipe posts, brand ambassadorships, writing and photography. 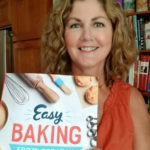 Contact me at eileen.bakingsense@gmail.com for a media kit and to discuss how we might work together. If you have any questions regarding one of my recipes please ask in the “comments” section of the specific post. This way everyone can benefit from your question and (hopefully) from my answer.